So there was once this blogging friend of mine that I knew I could take at his word. I’m late for work (but then when aren’t I?). I’m sitting on a train that’s stopped due to signal failure ahead. No, I’m on a train that’s reversed back to a previous station so people can get off. I’m sitting here wondering whether I should be patient, or maybe I should get off, put one foot in front of the other and keep moving. It’s the 1st step that’s a killer. 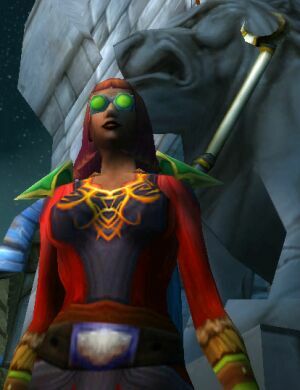 Oh, and that’s how I am finding WoW right now. It’s broken, too many things wrong. Do I get off, or stay on? It definitely doesn’t help that I haven’t had the time to keep up with the news. Even if I had read just one of Cynwise’s posts I would have realized that the best way to greet 5.04 was to wipe everything and start fresh. Dara and I have been leveling our closet alts through a mix of activities. Questing – I kill the mobs, she collects the loot (assuming she isn’t too busy skinning). Dungeons – I do the killing while she finds the right corridor to where the rest of the party is. BGs – I head to the graveyard while she stealths on the outside (Hell, she remembered to stealth even found the stealth button, that’s a good start). We have been leveling in tandem, so we would start each level kind of together, but somehow I will always reach the next level 1st (she calls me a cheater). It’s not a big issue, I let her catch up… sometimes. What is an issue though is this funny quirk, I’m going to call it a bug, where if one of us levels up (yes, 50% of the time me), that one gets kicked from the BG (or instance for that matter) queue. Out of the closest… again. So just for the record… yes I have a Warlock, an Affliction Warlock.. But I am wondering what rock the Bear has been hibernating under, because the rest of you you know I have had it for a long time.. some time in 2008 I started my Lock Twinking adventures with Twinking your level 19 Warlock: Part 1. Introduction. The thing is, I could never bring myself to finish the experience, so the Lock was languishing at level 17 for 4 years. There has been a long quiet spell in our guild lately and Dara and I found ourselves playing BGs over and over again… it was starting to get stale. One of the problems with BGs is the scenery doesn’t change too often, so I decided to change the personal scenery and add the Lock to my BG stables (currently housing Mage, Shaman, Druid, and an unloved DK). So the Lock got dragged out of storage, Dara dug up her young Shaman and we started the leveling process. That didn’t last long… REROLL! Not long after that we rerolled… Did I say I liked the Lock? Now we had two alts each, A Lock and a Pally for me… A Shaman and a Rogue for Dara… leveling in tandem. One of the advantages of leveling on one character for 5 levels, then switching to the other, is there isn’t much time to get sick of the 1st one… at the 1st sign of boredem, we just switch toons. One of the disadvantages is it feels like we just completed that painful collection quest… oh yeah we did… on the other toons. There was a moment, early on, where I found myself face to face with a Horde Mage in WSG. So I killed a Mage! and yes I liked it. Dara (who you may as Skip from a certain short story comment) writes the following, after much nudging from me, especially as I yet to this day don’t understand how Bear’s post of horror could be an inspiration for someone to join the circus that is LFR. Some blog’s inspire you more than others, some inspire you to do something the author may not have intended. Wasn’t hard, one button clicked and I was in a queue. I do not enjoy the PVE side of World of Warcraft. I leveled my second toon to 85 purely on BG’s after level 34. (My second maxed toon, I tell you the party is still happening. Ok she is a priest too, but a Horde priest so that makes her different to Daraiste.) My knowledge of BG’s may just go beyond noob level now, you are welcome to join me in a BG to find out and after that I will lure you back with promises of improvement. I very much doubt Bear’s post was intended to inspire someone who knew nothing of these raids to join, my logic was less than sound I admit. If someone can play against the raids objectives for even 10 seconds before it was noticed then I might just get away with being there. Please direct all “girl don’t you know how to use google, wowhead, blogs, your guild, your mates or your basic common sense and learn about such things before you do them” to Gnome, he likes reading. Did I know what I was doing? Hell no! I struggled to keep up with what Deadly Boss Mods was telling me on more than one occasion. Did I cause the raid to wipe? Not on that day. I wonder if he noticed me get the achieve later on. 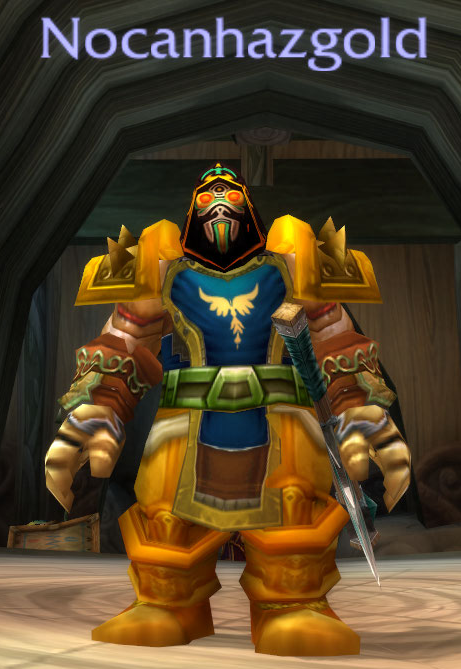 I should mention I went in on full pvp gear. I had so much fun, I still do LFR. I have not given up on asking Gnome to join me, one day he may just say yes. I have some nice drops from doing them but I have something much better. I have another part of WoW that I want to learn about, I go in with friends and get help and have a laugh. I have even recently started doing Arena’s. We won 6 before we lost on the first night. All of this because I saw the potential for getting away with something I would not have tried otherwise. Don’t try this at home, read up , get help or worst case scenario, wing it and grow.